Kaleidoscope Psychotherapy is an established private practice based at Tealstone Therapy Rooms, Nantwich; offering a broad range of therapies for young people to explore and express themselves in a comfortable, consistent, emotionally safe, non-judgemental and confidential space. As a parent you may be feeling at a loss as to how to help your child, that you don’t have the answers, wondering if seeking professional help means you are failing. Let me assure you that this is a normal and natural feeling and as a parent you are too close and emotionally too involved to assess the problem. You may worry that your son or daughter won’t be willing to talk to a ‘stranger’ or fear there is a stigma attached to seeing a therapist. I acknowledge when a young person agrees to attend therapy it is a significant psychological step and also a risk. There is often a moment of connection when I explain that being an adolescent is a time of transition, they are not alone and that we will work collaboratively to help them develop the tools that can assist them to face and overcome their challenges and fears, so they thrive rather than strive. My son felt safe with Liz and respected her expertise. This was very important. Parents experience relief, at times there are tears, when they realise that professional support need not have a stigma attached and that their child is willing to talk with me. Every parent is doing the best they can but it can be difficult to step back because of the depth of the emotional attachment between parent and child. There begins the journey of psychotherapy … more about that later. Liz has been fantastic in helping her getting back on her feet through the support, and therapeutic techniques she has taught her. Beginning the therapy process is usually via first contact from a parent, explaining their concern about one or more aspects of their teenager’s behaviour or demeanour. I provide an initial 15 minute telephone consultation free of charge, to establish if psychotherapy is the next step or to signpost you to another service if appropriate. If you take the next step with me, we arrange an initial assessment session; this takes place within a comfortable therapy room at Tealstone Therapy Rooms in Nantwich and usually involves the client/young person with one or both parents. The first part of the assessment session parent(s) are invited to be present, for me to gain some understanding of the problems being experienced. In the second part of the session the parent(s) let their child experience therapy on their own with me, for the young person to get a ‘sense’ of what a therapy sessions feels like so they can make the decision if this is the right choice for them. This gives both client and parent(s) the opportunity to meet me and decide if I am the right psychotherapist for your family dynamics. This is important as the trusting relationship between you and your therapist is an important factor in the success of the therapeutic process. 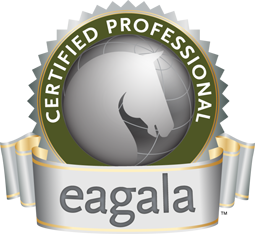 The EAGALA Model: The Global Standard for Equine Assisted Psychotherapy and Personal Development. EAGALA Certified Professionals complete a rigorous training program, commit to evidence-based client solutions, utilize an exclusive team approach and operate with a strong code of ethics. Liz Bunting with Kaleidoscope Psychotherapy is part of The EAGALA Network of more than 4,500 Mental Health Professionals and Equine Specialists in 50 countries. EAGALA professionals are trained and credentialed to offer The EAGALA Model exclusively to their clients. Horses are uniquely sensitive to the feelings of those around them and respond in ways which reflect aspects of ourselves and our relationships. The EAGALA Model is an innovative, ethical set of best practices that builds on the human/horse connection to help people learn more about themselves and to use that learning to change their lives.